The weapons are well balanced and can be quite effective, both offensively and defensively. They can easily take out enemy players and they are very valuable against vehicles. Balance between the strength of vehicles and weapons used against them are a major concern among gamers. More importantly, the gamer wants the ability to evade a vehicle before it leaves a permanent Goodyear stamp on their foreheads. Epic did a great job with the balancing act required for games with vehicles. A player can evade a vehicle and the injurious projectiles. Don't misunderstand, evasion is not overly simple and does require a few notches on the skill stick. Yet even a n00b like Matt Frary learned how to double jump over the Hellbender. We've seen videos and articles about most of the vehicles, but what wasn't vastly known was the addition of the Leviathan and Bomber. According to CliffyB, the Leviathan vehicle will dwarf the tank. In addition to the impressive size of this vehicle, the weapon arsenal is massive. 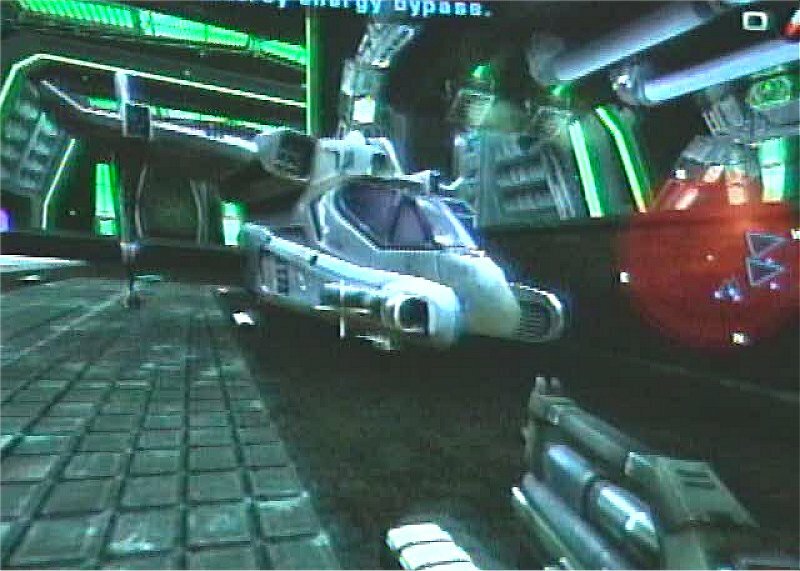 This whale of a vehicle will have over five weapon turrets and whenever a player hits alt fire, an enormous Ion cannon emerges from the center. Like the Redeemer, the Leviathan's Ion cannon will raze anything within the target area. CliffyB blurted out a comment about the Bomber, but he didn't expand upon that comment. It will be interesting to see how a Bomber fits into the grand scheme of things, but I'm sure it will be a welcomed addition to the current arsenal of vehicles and weapons. 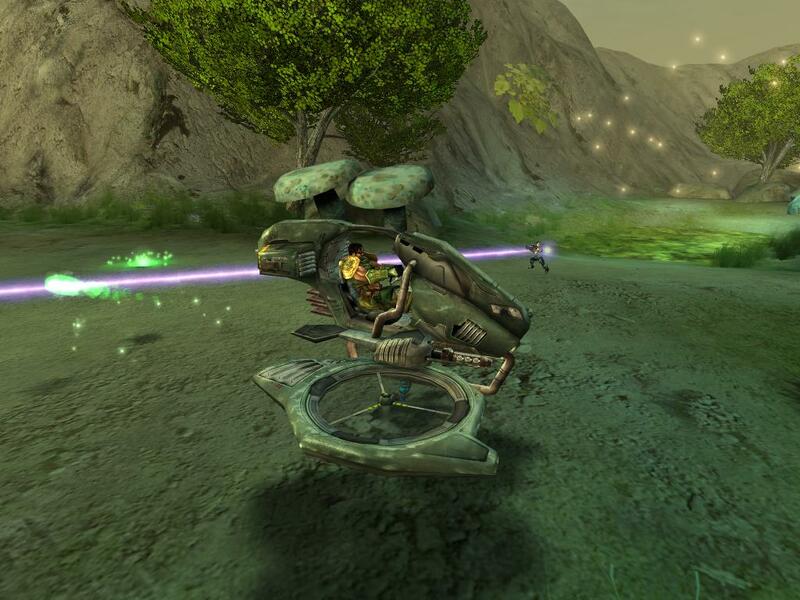 The vehicle I enjoyed was the Manta hover bike. The neat features of the Manta included pushing the jump button to make the hover bike boost into the air and the crouch button that forces the Manta to kiss gravity for syrupy decapitations. The Manta isn't the only vehicle that uses the crouch or jump button to invoke special moves. The Hellbender and Scorpion buggy does a powerful spin when the crouch button is pressed. This is like pulling on a hand brake in cars to achieve the 180 degree turns. The Hellbender also sports a very interesting shock ball like cannon. The passenger side of the vehicle is the area that activates this impressive weapon. Basically, the weapon fires off shock balls. You can send a generous amount of shock balls at a target. But the nice feature of this weapon is the ability to create a shock combo. The shock combo is chain reactive, making all the shock balls explode in sequence. These vehicle features are present in the Onslaught game type and the vastness of the maps balances out the power of weapon features. The last vehicle I will describe is the Human and Skaarj space fighters. The fighters are basic and the weapons are not exactly extraordinary. Yet the fun factor in flying the fighters comes alive during the dog fights. In one Onslaught map, our objective was to attack and infiltrate the Skaarj Mothership. While we concentrated on destroying the shield generators and dodging turret fire, the Skaarj (defense) sent out several fighters to hinder our plans to successfully complete our mission. Unlike most space fighter games, the controls and navigation was very simple. The sheer ease of control allowed me to truly enjoy the intense chases and nail bending dog fights. The homing rockets still need a bit more work, especially against the fast moving enemy fighters. They worked fine against stationary turrets. Overall, the control, weapon balance and the ability to change to first person mode (default key is F4) with all the vehicles and turrets will add more depth to the game.